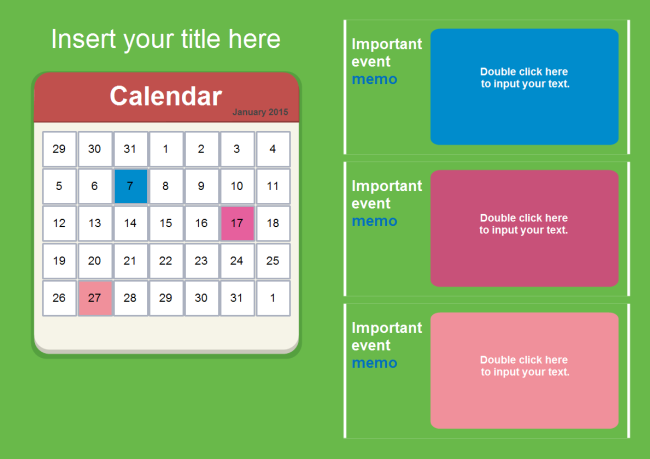 Description: This free customizable calendar powerpoint template is provided to download. It contains a calendar and event memo timeline, which is perfect for keeping event memo. It's customizable so that you can color the date on the calendar. It's very practical when presenting important events with dates.